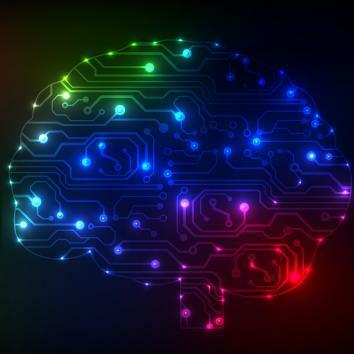 3D-printing an artificial mind might be possible one day. Who says brains have to come from nature? I’m an artificial-intelligence skeptic. My problem isn’t with the software, but the hardware. Current computer technologies may give us faster, lighter laptops, but AI needs more than the PC equivalent of go-faster stripes—it needs a revolution in how we build processors. Such a revolution may be just around the corner though. As I discuss in a new article in the journal Nature Nanotechnology, the convergence of technologies such as 3-D printing, advanced processor architectures, and nanotechnology are opening up radical new possibilities in how we might construct brain-inspired computers in the future. If what we think of as the human mind is the product of a biological machine (albeit a complex one), there is little to suggest that we won’t one day have the ability to emulate it. This is what’s driving artificial intelligence research and the emergence of computers like IBM’s Watson that are getting close to thinking like a person. Yet powerful as Watson is, current manufacturing techniques will never enable such technologies to become ubiquitous. It’s a problem of dimensions. Imagine drawing five points on a piece of paper and trying to join each point to every other, without any of the interconnecting lines touching. You can’t do it. A second piece of paper layered over the first helps make the connections. But the more points you add and the more connections there are, the harder it gets to connect every point to every other one. It’s a simple illustration of how hard it is to replicate the physical structure of the human brain—a 3-D matrix of billions of neurons tied together by hundreds of trillions of synaptic connections. Conventional manufacturing techniques can get us partway there. For instance, companies like IBM are pushing the limits of conventional approaches using to create brain-like processing architectures. But like the points on the paper, the technology is still inherently two-dimensional, meaning that additional complexity comes with a massive price tag. If brain-inspired processors are to become an everyday reality, we’ll need radically different manufacturing processes. Now imagine that you could take the equivalent of a brain scan of this tangle of threads and points, one slice at a time, then feed each slice to a 3-D printer. What you’d get would be a physical model of a brain-inspired structure. Of course, it would just be a model made out of plastic or metal. Transforming it into a working artificial brain would require reach of those points to be a functioning artificial neuron, and each of the connections to emulate biological axons and synapses. * The technology to achieve this doesn’t yet exist. But it isn’t that far away. For instance, Memristors, a new type of electronic component, are being explored as the basis of artificial neurons. If these could be 3D-printed, it may be possible to begin to construct simple three-dimensional brain-like computers. Unfortunately, future 3D computer chips have a bigger problem that needs to be overcome. Processors generate heat. And high-performance processors generate a lot of it. In three dimensions, heat removal becomes one of the biggest barriers to developing brain-like processors. Human brains have the same problem—a fever of just a few degrees can be life-threatening. Our bodies have evolved to handle this by removing excess heat through an intricate network of blood capillaries. Unfortunately, creating a similar heat management system using conventional manufacturing is incredibly challenging. Not so with 3D printing, though. Because complexity is cheap with 3D printing, a secondary fluid-based heat-management network would be relatively simple to add to a three-dimensional brain-inspired architecture. Of course many more technological challenges to 3D printing an artificial mind remain, including the ability to 3D print functional components. Yet here, the field of nanotechnology is opening the door to achieving just this. The convergence between 3D printing and nanotechnology that will allow functional devices and processing architectures to be manufactured using multiple materials isn’t there yet. But it’s not inconceivable that, one day, my skepticism will prove to be unjustified, and anyone will be able to 3D print the modern day equivalent of Isaac Asimov’s positronic brain. Correction, Dec. 15, 2014: This blog post originally misidentified axons as axions when discussing brain architecture. It also implied that, in the human brain, all neurons are connected to all others. Each of the roughly 100 billion neurons may be connected to as many as 10,000.